At Green Meadows Dental Center in Virginia Beach, we offer many ways to improve your smile, whether it’s through cosmetic means or restorative procedures. If you’re missing any teeth and would like to permanently fill the gaps in your smile, you should consult your dentist about dental implant restorations. From one to multiple missing teeth, we provide teeth replacement in Virginia Beach so patients can have fuller smiles. We provide the following implant restoration options that are supported by dental implants. Implant supported bridges are useful in special cases. For example, your dentist may not want to install an implant in a troublesome spot in your mouth. He can utilize implants around the vacant spot to build a bridge on top of it, while still filling the space. As with regular implants, you’ll still be able to care for the bridge like regular teeth, though your dentist may recommend a special brush or floss. Dental implant restorations are made to look like the genuine article, and function just as well; you’ll be chewing food just a normal as you did with a full mouth of original teeth. You’ll even be able to brush and floss without any special accommodations. And when it comes to your smile, your implant will not stand out, as it has been made with aesthetic materials to blend in with the rest of your teeth. After the restorations is affixed, your smile will be restored to its natural state. You’ll no longer be bothered by discomfort; instead, your restored smile will fill you with a newfound confidence! Make an appointment today with Green Meadows Dental Center today! 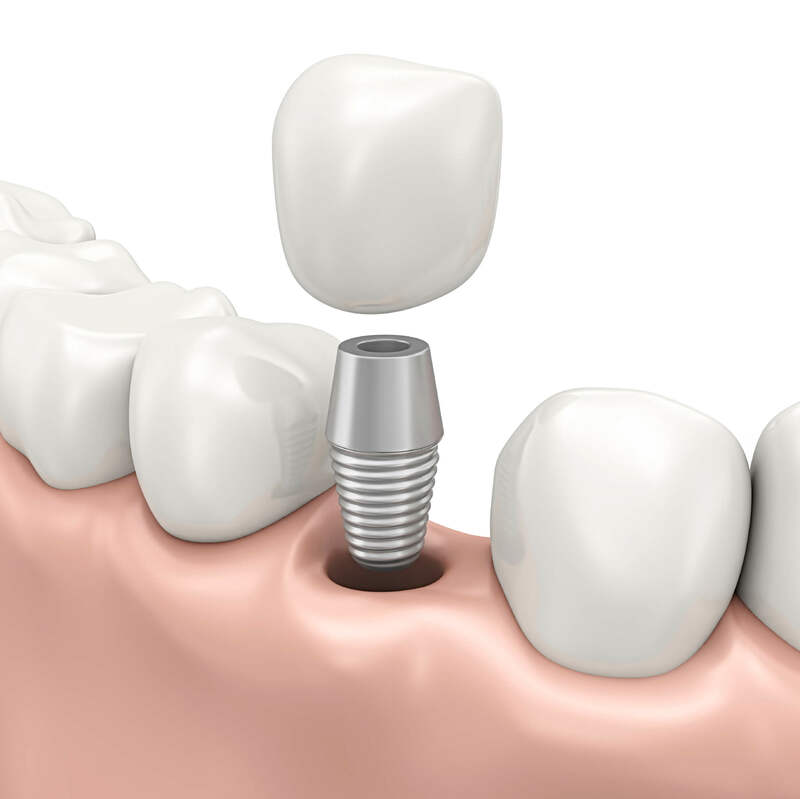 At Green Meadow Dental Care, we are more than capable of restoring your smile with the help of dental implants. If you’d like more information, or would like to schedule an appointment, please call us at our Virginia Beach dental office at (757) 495-5010. We look forward to hearing from you, and would love to rejuvenate your smile!